HomeAre beards bug traps? Au contraire! Are beards bug traps? Au contraire! As the owner of a relatively new beard (see picture below), I was alarmed to hear that my beard is probably as contaminated with faeces as a toilet brush. Fortunately, a Journal of Hospital Infection study from 2014 turns this on its head, showing that those wearing beards are actually less likely to be colonised with staphylococci! 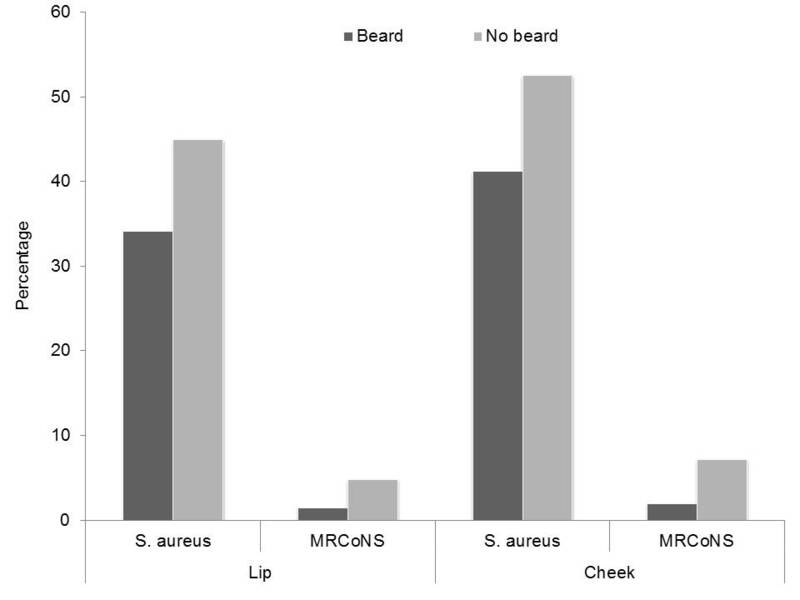 Men wearing beards are significantly less likely to be colonised (on the lip and cheek) with S. aureus and on the cheek with methicillin-resistant coag-neg staph (see Figure below). However, men wearing beards are more likely to shed methicillin-resistant coag-neg staph. Colonisation with Gram-negative bacteria was low in both groups. Useful sub-analysis (in the appendix) showed that colonisation rate did not vary by beard type. One quirky finding was that the prevalence of beard wearing varied significantly by specialty. Most notably, HCWs in medical specialties were considerably less likely to wear beards. Figure: rate of colonization with staphylococci for bearded and unbearded men (MRCoNS = methicillin-resistant coagulase-negative staphylococci). Significant difference between beard and no beard cohorts for all but MRCoNS on the lip, where p=0.06. The authors attribute this difference to “micro trauma” (aka shaving cuts – not sure how this term make it through the editors!). However, I think it’s more likely that less sensitive detection of facial colonisation due to the mechanics of ensuring physical contact between a swab and a bearded face explains this difference. Another question is whether we should be talking in terms of “contamination” or “colonisation”. For me, S. aureus does not actually colonise the skin of the cheek or the upper lip – colonisation emanating from other body sites results in contamination of the lip / cheek. So, I think we should really be talking about contamination rather than colonisation in this study. So, all of this means that I don’t have to shave off my beard (and nor do my bearded blog buddies Martin Kiernan and Eli Perencivich). But rubbing my beard thoughtfully, as I have done numerous times during the writing of this blog, whilst in a clinical area isn’t a great idea (but nor is rubbing your beardless face)! Phew! That was a close shave… thought I might have to remove mine too.